This year's Super Bowl left something to be desired and the commercials were no exception. But when the well-known legume decided to become a Twitter critic of the Church of Scientology's creepy 30-second spot on Sunday, he found himself in more trouble than he anticipated. Scientology doesn't take kindly to critics, and social media users were quick to point out in their responses to the tweet that Mr. Peanut better watch his back — and probably his front lawn, as Scientology is known to dispatch private investigators to hunt down dirt on detractors, whom they label as SPs or "suppressive persons" (or, in this case, "suppressive peanut"), in a process known to Scientologists as "Fair Game." @LeahRemini Can they fair game a peanut? A number of users tagged Leah Remini, who hosts the hit A&E docu-series, Scientology: The Aftermath, which documents the Church of Scientology's many physical, emotional, and financial abuses. Remini responded by assuring commenters that, indeed, Scientology works to intimidate all its critics, and that probably includes Mr. Peanut. Often, Scientology's critics, like Remini, become subject to a widespread campaign of disinformation. Scientology has been known to dispatch investigators, harass friends and family of those they label as SPs, and publish bizarre 'hate websites" that claim to reveal the "truth" about those who've publicly split with the Church. Honestly, the idea of "Fair Game-ing" a cartoon peanut sounds farfetched, right? It turns out, it wasn't far off the mark. Within minutes of Planters' tweet, prominent Scientologists, including some heavily involved in the Church's "Stand League," which operates as something of a "digital rapid response" operation, were tweeting that Planters was exhibiting "anti-religious bigotry." I think that this tweet is inappropriate. It comes across as anti-religious bigotry. 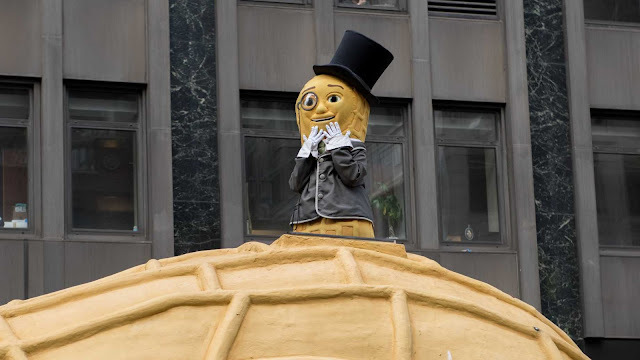 Ultimately, too, Mr. Peanut came out on top. The Planters brand took home the coveted Ad Week "Brand Bowl" MVP award for the brand most retweeted during Sunday's big game. Their peanut based giveaway no doubt helped them achieve social media stardom, but the Scientology criticism definitely didn't hurt.